Usui Reiki Treatment for improvement of body and mind. In Asia, especially Japan and China, the surname is first. 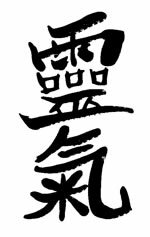 The founder of Reiki was Mikao (first name) Usui (last name).